Gilly Metherell and Richard Guy are farmers who have farmed together on Salisbury Plain since they were married in 1985. The farm is part of the Army training area and an area of outstanding natural beauty. Gilly was born and brought up in the New Forest. She learned to ride not long after learning to walk and has had lifelong passion for horses. 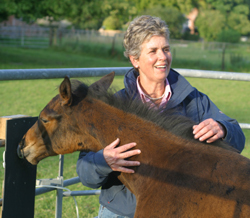 In 2003, she started Cotley Hill Stud breeding thoroughbreds. Although not a big stud, managing labour requirements and avoiding waste were a critical part of the business. The daily chore of taking fresh hay out to the horses and collecting up spoiled hay from the day before seemed very wasteful. She wondered if it was possible to buy a container to protect the hay and keep it tidy and dry. She searched the internet but could find nothing. 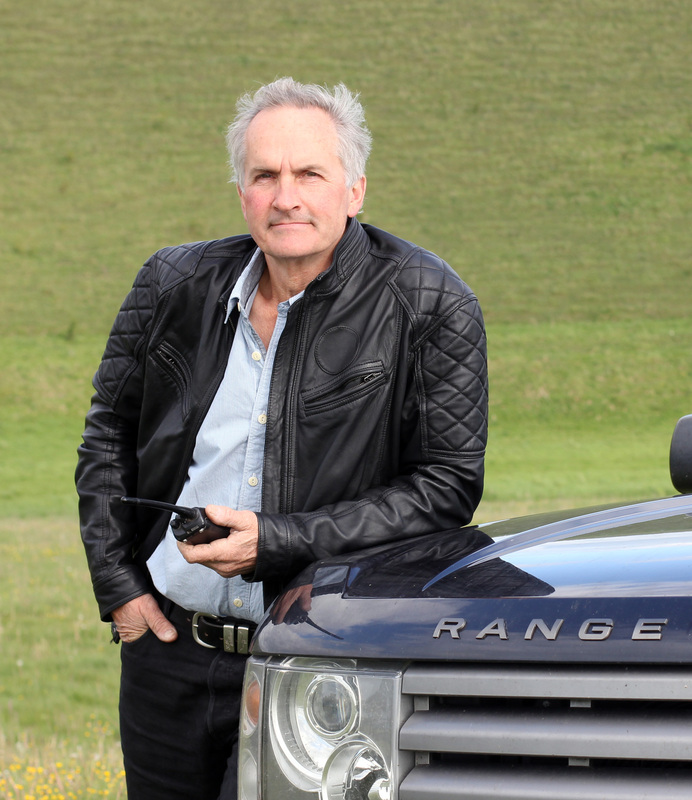 Richard is a lifelong farmer and is used to the idea that if you cannot buy something you need, then make it yourself. 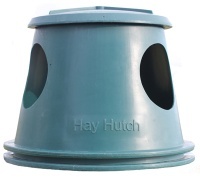 In 2005, he made a covered outdoor hay feeder with holes in the side which solved the problem. When not in use, local rabbits decided to use them as shelters. This is how Gilly thought of the name, "Hay-Hutch". 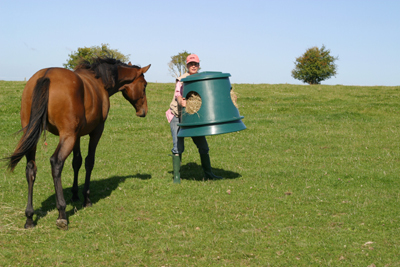 When the vet called to attend to a horse, she saw the Hay-Hutches and asked to buy some. It was clear that the Hay-Hutches could be useful to other horse owners. Gilly and Richard located a family owned factory near Birmingham who manufactured grit bins and large plastic objects. 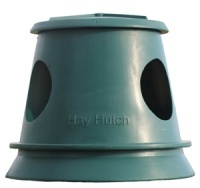 They agreed to make Hay-Hutches for us and, in January 2008, Hay-Hutch was launched as a business.